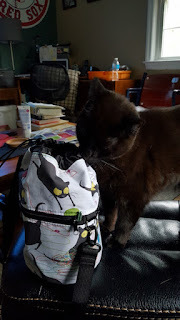 Many thanks to Trudi for sharing these photographs of her new Kipster knitting project bag. 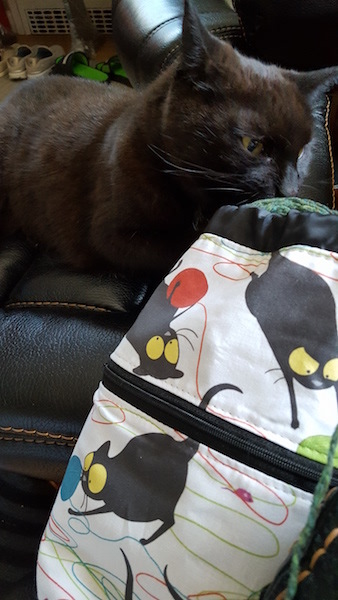 She says ""I love using my new project bag, and, as you can see, Eva loves it too (maybe a little too much!). A happy customer on a cruise with her Dachshund Scooter zip bag. 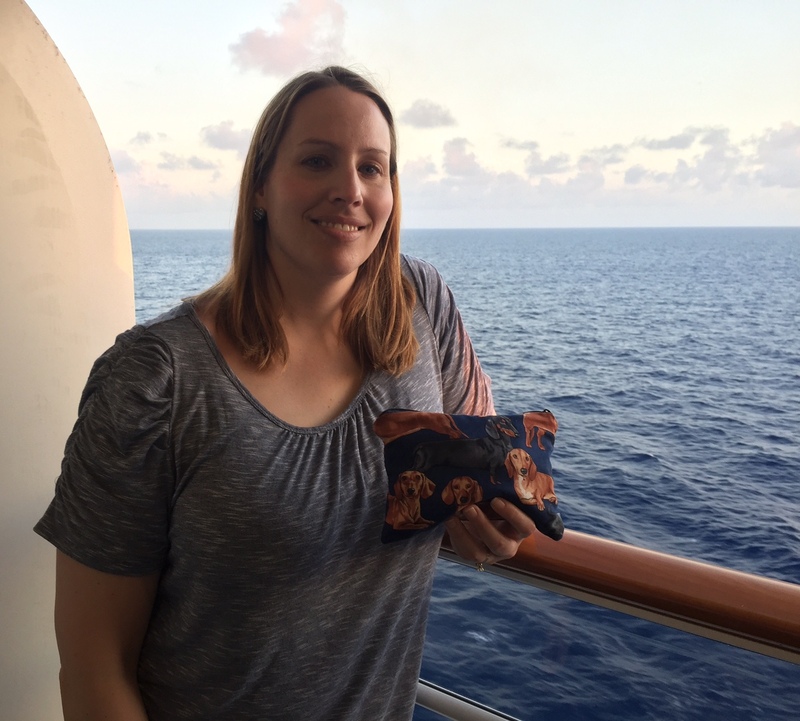 Many thanks to Megan for sharing this wonderful photograph of herself, on a cruise, using one of my Scooter zip bags, featuring cute dachshunds.